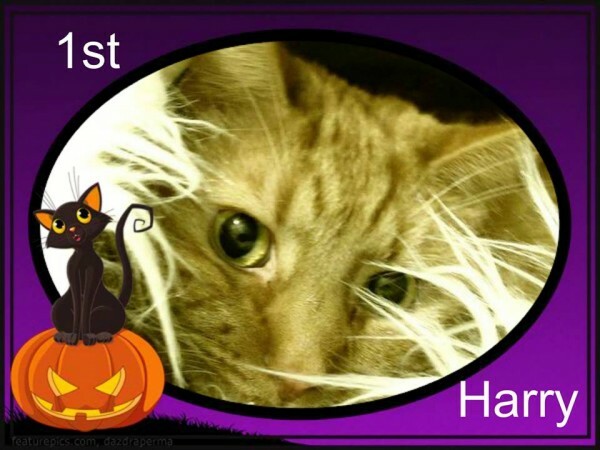 I'm so proud of Harry he has just won the Best Spellbinding Eyes competition for Halloween! There were 54 entries. He truly has wonderful eyes. The main show is still open raising money for needy cats if anyone would like to take part. I'm very busy at present so it might take me a while to catch up with comments.